General description : For sale in our Detroit showroom is a phenomenal 1968 Plymouth Sport Fury Convertible. This 1968 Plymouth Fury is a true survivor and is ready for anything you throw at it. This mean machine is in fantastic condition inside and out and drives like a dream. The exterior is painted Avacado Green Poly which is believed by the owner to be original paint and is a perfect match for the great condition dark green vinyl interior. Appealing to the muscle car enthusiast, this hot looking Sport Fury has the numbers matching 318 CID V8 that is paired up to an automatic transmission. This 1968 Plymouth Fury is a beautiful condition 3 owner car that has been just used sparingly as a parade vehicle and to cruise to local car shows. This beautiful Fury has had some recent maintenance which includes the wheels being sand blasted and coated, new tires, the original fuel tank was cleaned out and a new sending unit, fuel filter, and OEM hoses were installed, a recent tune-up was done, and the brakes were serviced and a new master cylinder was installed. This Fury also comes with some essentials so when you're done burning rubber you can cruise with power steering and stop in ease with power brakes, and has an automatic convertible top to make any fair weather day one to enjoy. This Mopar delight is ready for a new home to add to any classic car collection and to enjoy for many years on the open road and car shows! 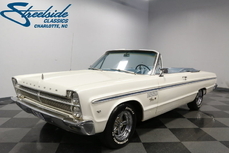 To view this super clean 1968 Plymouth Sport Fury in greater detail with high resolution photos and in-depth HD video visit us at http://www.GatewayClassicCars.com. 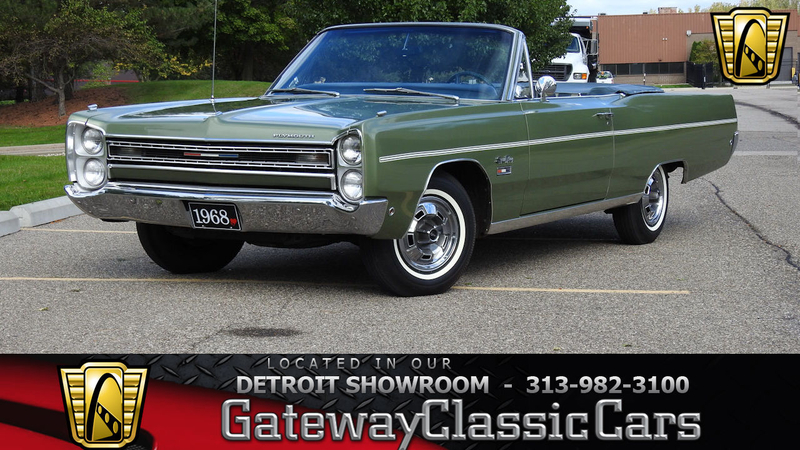 For more information on this '68 Fury call us at 313-982-3100 and talk directly to one of our friendly showroom staff today... before it's too late! 1968 Plymouth Fury is listed for sale on ClassicDigest in Dearborn by Gateway Classic Cars - Detroit for $24995.